Here's a story. I like to go for two-mile runs every other day. I'm not a good runner, I'm not a passionate runner, and I'm definitely not a long-distance runner, so two miles is enough alongside yoga or Pilates or any other workout I choose to do that day. Even though I've successfully completed the same two-mile circuit hundreds of times, I still find that I occasionally stop after a single mile. It's not because I can't keep going—it's because I either don't have the motivation to keep going or convince myself that my body has had enough. The former is just me being me, but the latter can be blamed on my brain. When I'm uncomfortable—my muscles are laboring, my heart is pounding, and my breathing is rapid—my brain tells my body, "You should stop now; this is hard." 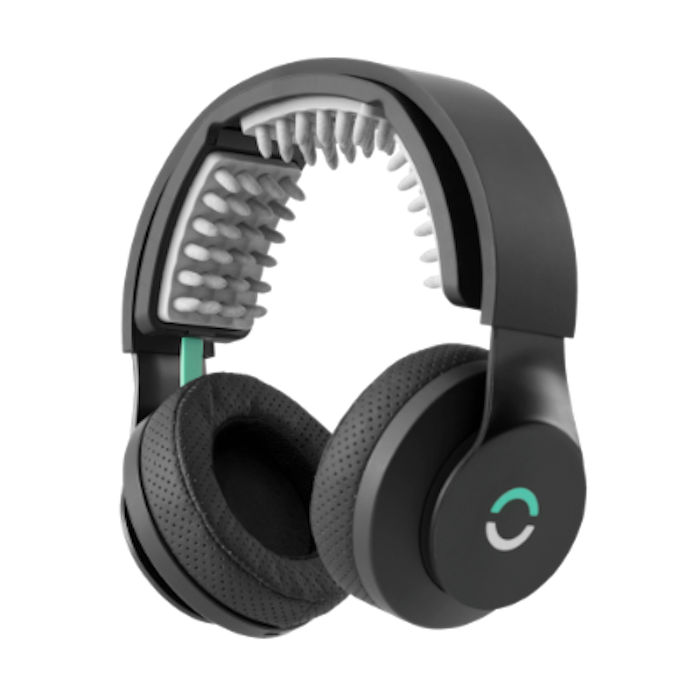 According to Well + Good, one neuroscience company called Halo Sport is trying to "bio-hack" our brains to stop that negative feedback and improve our workouts. It produces headphones that help the brain's ability to train and learn new skills more easily. How, you ask? It's through a process called "transcranial direct current stimulation," which research suggests might improve athletic performance. Just put them on 20 minutes or so before a workout. The little gray nubs on the headband send small signals to your brain's motor cortex area. This excites the brain into a state of hyperplasticity, which makes it more receptive. In other words, this brain state is thought to improve your physical performance. Yes, it sounds super futuristic and maybe a little like something out of a dystopian novel, but it's also incredibly cool. Think about simply putting on a pair of headphones so you can run farther, finally learn those complicated boxing combinations, or power through a HIIT class. The best part is that you don't have to wait to use them. They're already here, and they're going to be more accessible than since the gym giant Equinox is introducing them into its Tier X program (which is a form of high-performance personal training that it offers). "When it comes to technology, we always look to incorporate the tools that are grounded in science and can benefit our clients and enhance their results," Alex Zimmerman, director of the Tier X program at Equinox, told the publication. So now, if you want to try brain-boosting headphones, all you have to do is hit your local Equinox. It's the way of the future, isn't it?